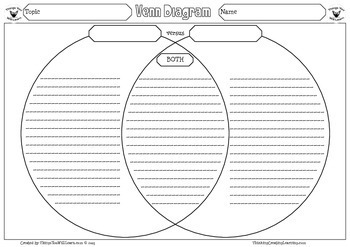 Uniquely designed Venn Diagrams in landscape and portrait, with and without lines. 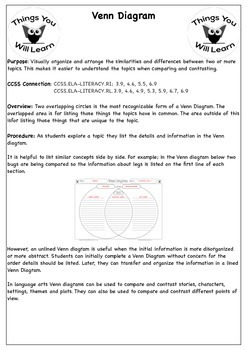 Visually organize and arrange the similarities and differences between two or more topics. 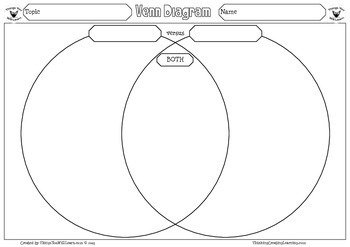 This makes it easier to understand the topics when comparing and contrasting. Two overlapping circles is the most recognizable form of a Venn Diagram. 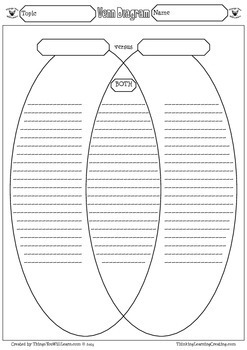 The overlapped area is for listing those things the topics have in common. The area outside of this is for listing those things that are unique to the topic.